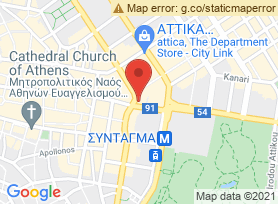 Located right across Syntagma Square, NJV Athens Plaza is an upscale restaurant in Athens. 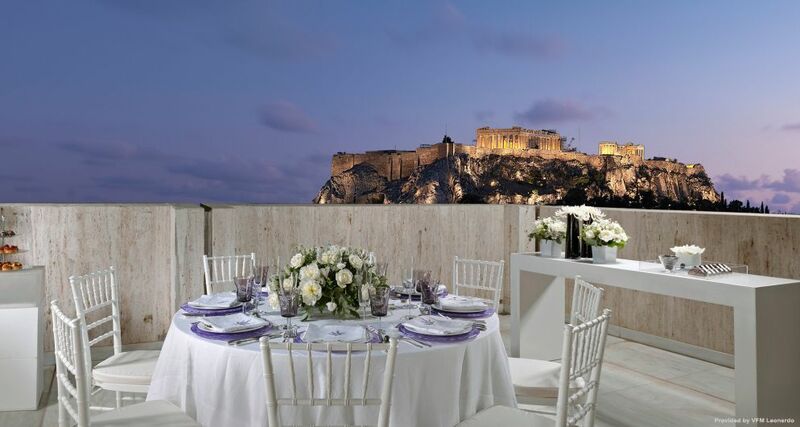 NJV Athens Plaza is close to the Parliament building and it offers stunning views of the Acropolis. NJV Athens Plaza has 180 soundproofed guest rooms. In all rooms of this hotel, you will have access to free Wi-Fi, marbled bathrooms, air conditioning, designer toiletries, Flat-screen TV, premium TV channels, and a mini bar. Furthermore, you can request for premium bedding and blackout curtains. The hotel also makes available 24-hour room service and laundry facilities. There are a number of things guests can do in NJV Athens Plaza including dining at the onsite restaurant, sipping coffee at the café, having a drink or two at the bar and spending time at the computer station. To make the stay comfortable and convenient for guests, NJV Athens Plaza also provides concierge services, limo or car rental service, tours/ticket assistance and newspaper in lobby. There’s plenty to do nearby the hotel. NJV Athens Plaza is close to the picturesque area of Plaka and the spectacular Acropolis. Other nearby places worth visiting includes the Pallas Theater, Benaki Museum, and Museum of Cycladic Art. Considering what you can do in and around the hotel, one thing is for sure: you won’t find your stay at NJV Athens Plaza boring. Great location. Central location with great sightseeing, dining out and shopping. Easy car access but inadequate parking. Near to public transport and the airport. Warm reception, management and restaurant service. Housekeeping is satisfactory. Room service is perfect. Booking process is sufficient. Great hotel security. Bar is alright with good drinks. Rooms are relatively tidy, but furniture is poor quality, with substandard TV's and A/C. Big rooms with excellent views, excellent balconies, and excellent beds. Old, poorly maintained rooms. Bathrooms are large but with substandard cleaning. Shower can be a problem. OK vibe and a friendly atmosphere. Hotel could use some updating. Luxurious Hotel. Pleasant entrance area. Hotel is relatively stylish. Suitable for solo travelers. Good for business people. Luxury hotel. Amenities and facilities adequate but in need of updating. Great conference area and nice entrance area. Terrace is not particularly attractive. Elevator in need of updating. Architecture not so nice.